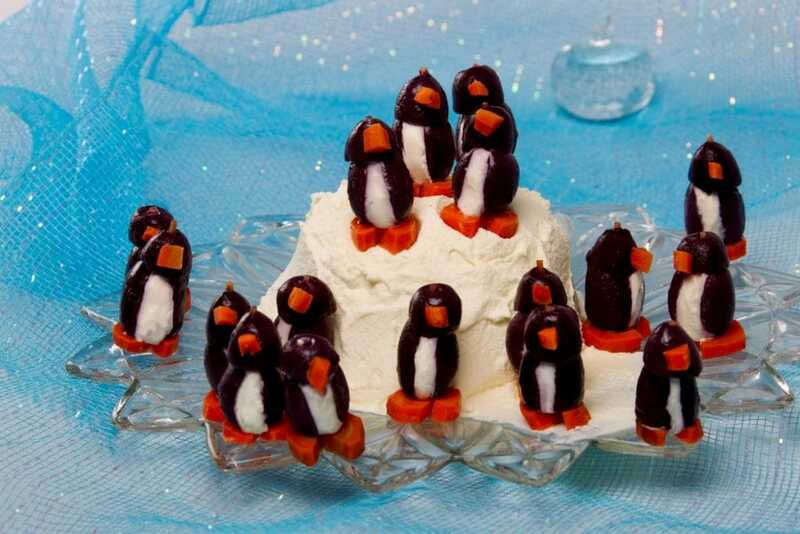 Cream cheese penguins: a delicious snack to surprise your guests! 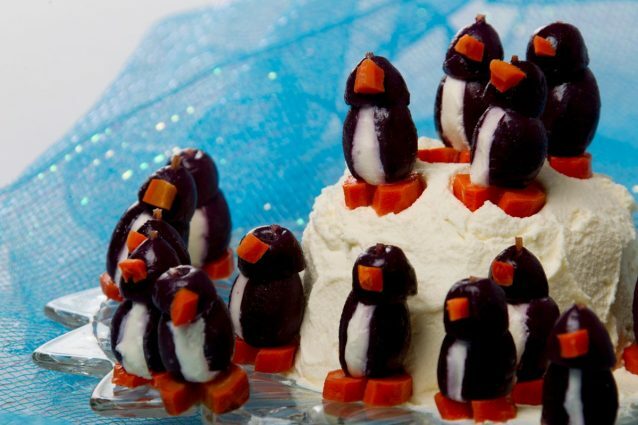 There is a wide variety of delicious snacks to share and to surprise our guests, today I want to introduce you to these funny cream cheese penguins that will make you surprise and please the little ones of the party. 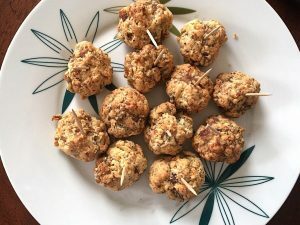 With this fun recipe that you can make with the help of your children, you can motivate them to try and accept new flavors. It is a wonderful idea because it is very simple and fun to make, with only three ingredients you will be able to animate the "party". 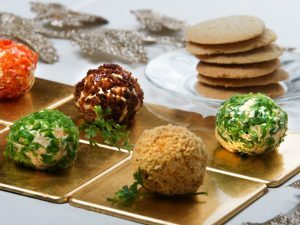 To the stuffing you can add pieces of parsley, ham, pepper, etc., to make it tastier, but now I will give you the basic recipe that is also very rich and that will become even richer if it is shared. Let's make penguins and have fun! 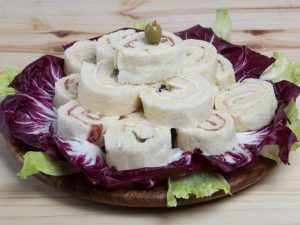 For this recipe, the ideal is to buy pitted olives; If you cannot get them, you can remove the bone yourself with a sharp knife. 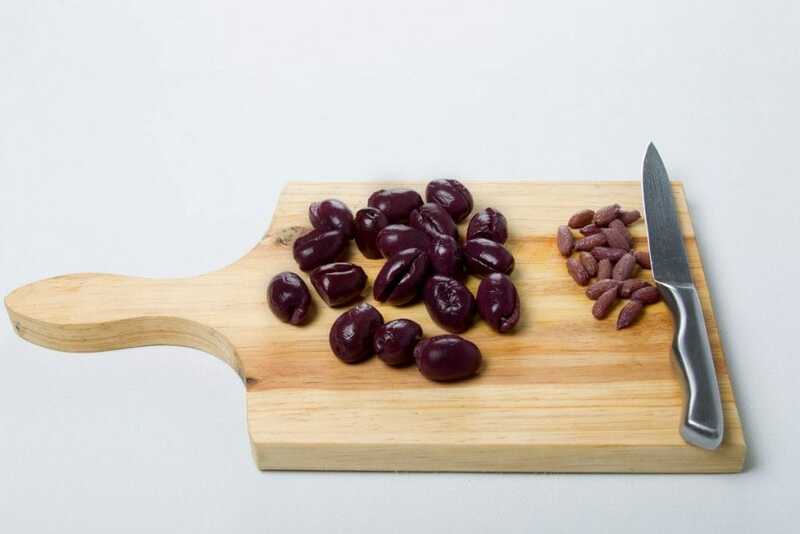 Usually, the easiest way to do it is to take the olive by one of the ends and cut a hole, then place the olive on a flat surface like a chopping board and press the olive with a knife until the bone comes off and leaves through the hole. 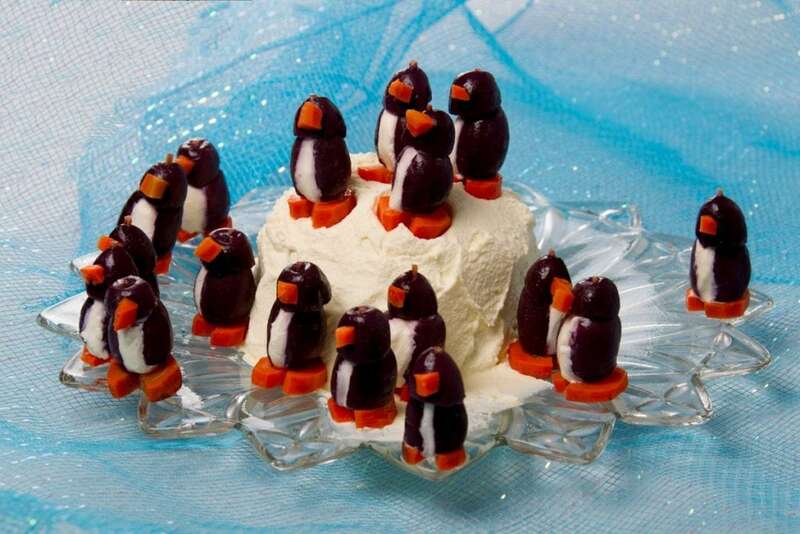 However, for this recipe we need the olives to be boned without damage because the large olives are the bodies of the penguins and the small olives are the heads. To remove the seed or bone from the olive, make an incision along the olive; digging a bit with the knife, you can carefully remove the bone. The olive should be left open longitudinally to fill with cream cheese. Repeat this procedure for all olives; if any olive is damaged, it must be replaced and used for another preparation. For this recipe it is very important that the olives are large and whole. 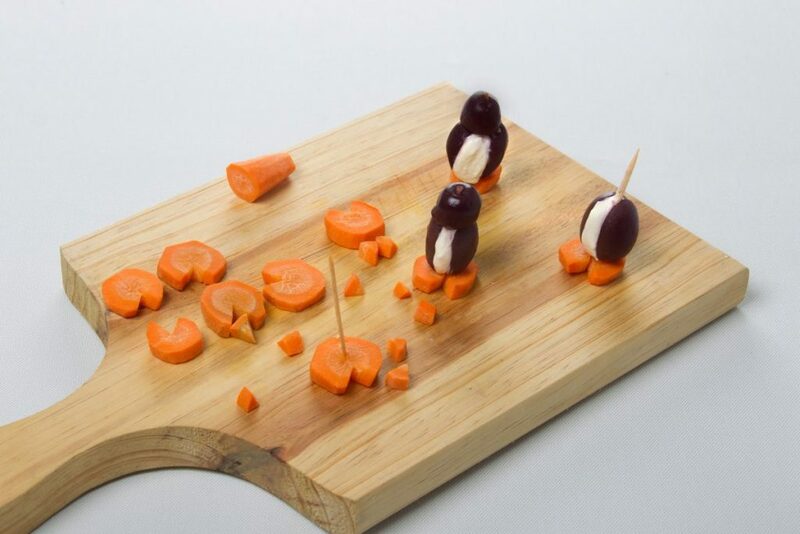 To make the feet of the penguins, wash and peel the carrots and cut them into wheels. Then, extract from each wheel a small triangle, this will be the peak and in turn will shape the feet. 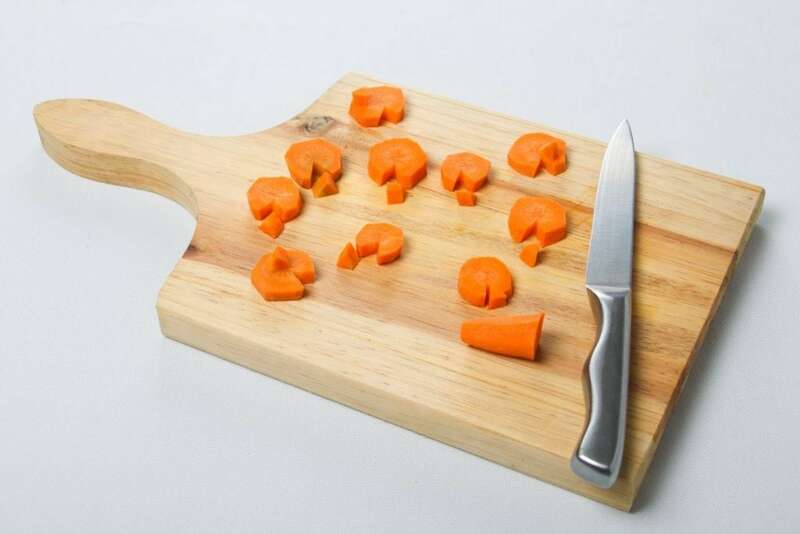 Cross a toothpick through each carrot wheel. 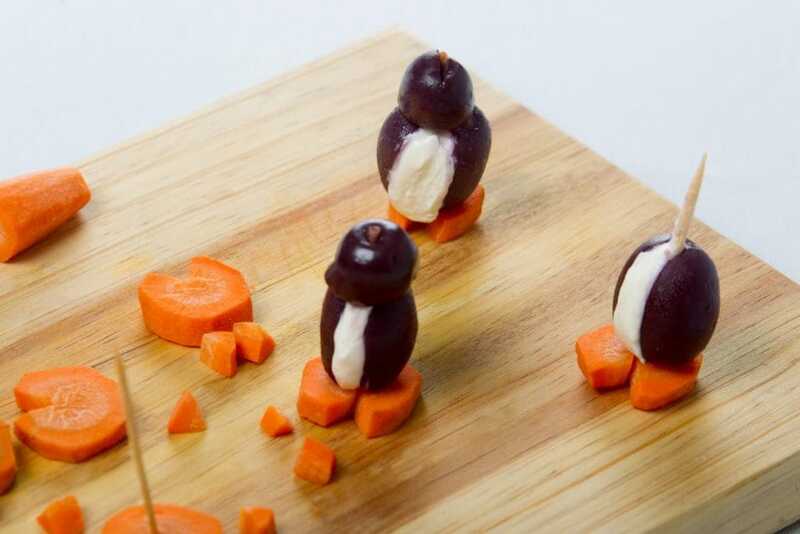 Fill each olive with cream cheese and place on the carrot wheel forming the body of the penguin. Finally, place the heads and the peaks (small triangles), this will allow to cover the total height of the toothpick, there should be little or nothing visible of the toothpick. 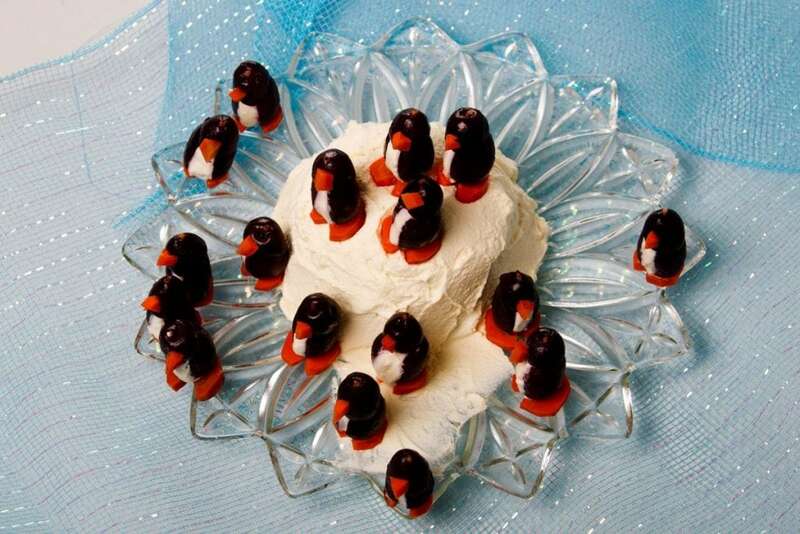 The recipe indicates how to make about twelve penguins but you can adapt them to your liking. Refrigerate for at least one hour and serve over a ball of cream cheese. 4 incredible fruit decorations you have to try!